EURUSD is falling sharply due to the Liikanen’s comments. 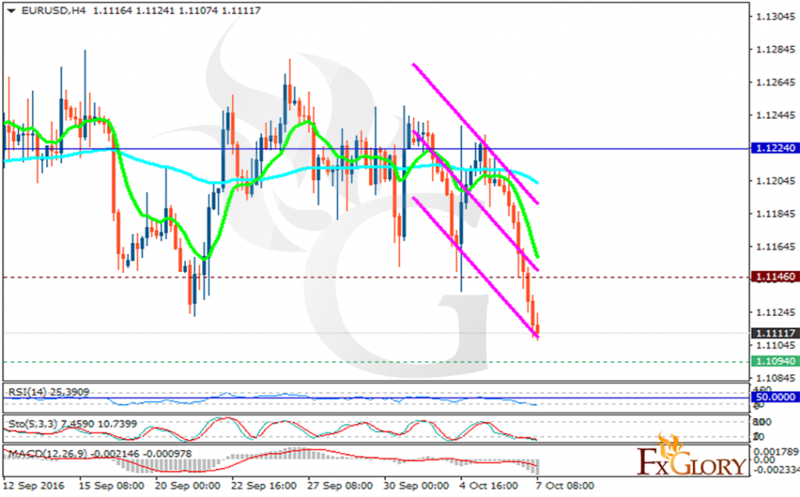 The support rests at 1.10940 with resistance at 1.11460 which both lines are below the weekly pivot point at 1.12240. The EMA of 10 is moving with bearish bias and it is located below the EMA of 100. The RSI is moving below the 50 area and has reached the oversold area, the Stochastic is moving horizontally in its minimum rates and the MACD indicator is in negative territory. Despite the pair’s sharp decline, it is not going to break through the support level therefore the correction pattern will begin soon targeting 1.12 area.